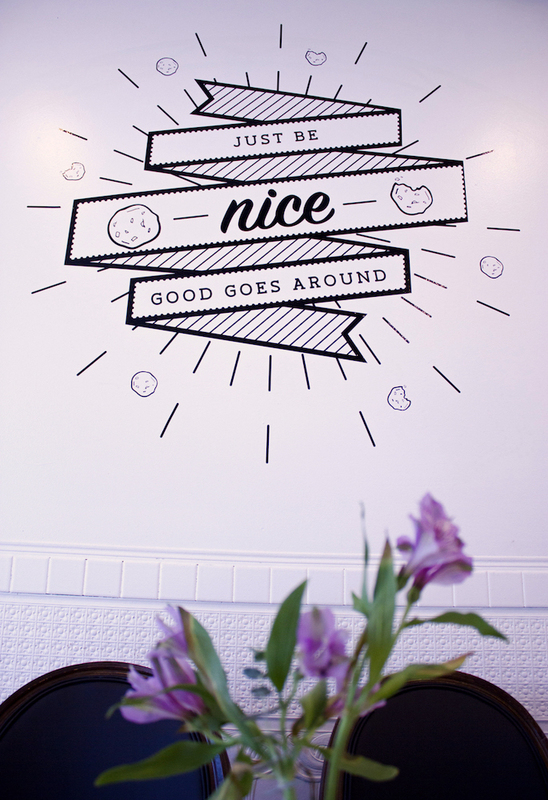 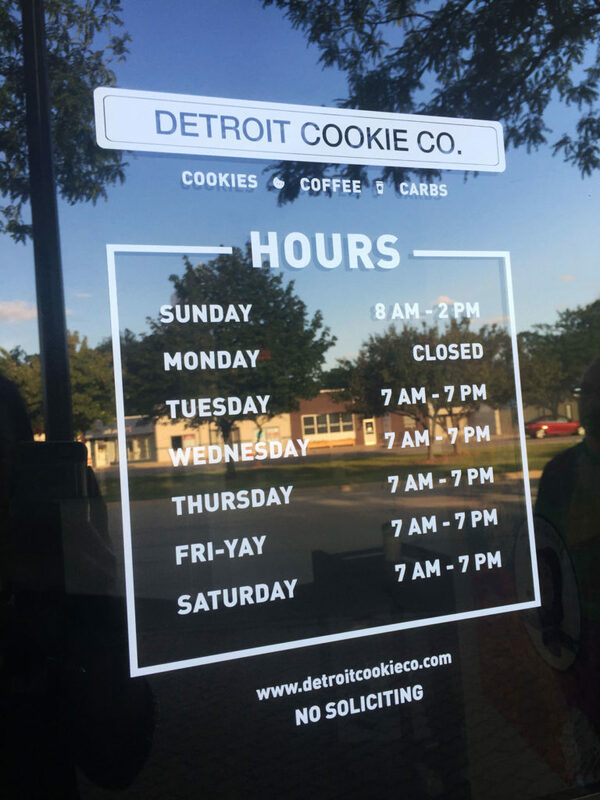 The Detroit Cookie Company is opening up a cafe in Ferndale, Michigan and I had the pleasure of working with the owner, Lauren, to execute her vision of various quotes and imagery to fill up the walls of her space. 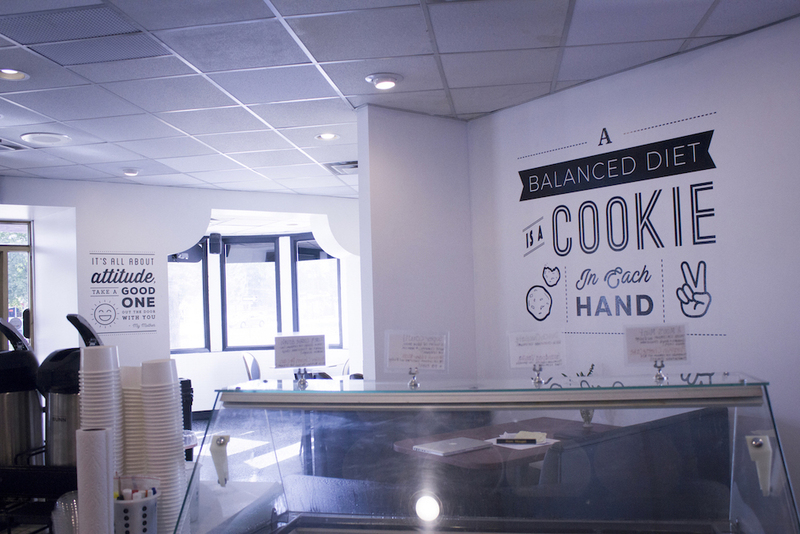 In addition to the graphics for the walls, I also designed the Hours of Operation signage, cookie labels, and the company t-shirts. 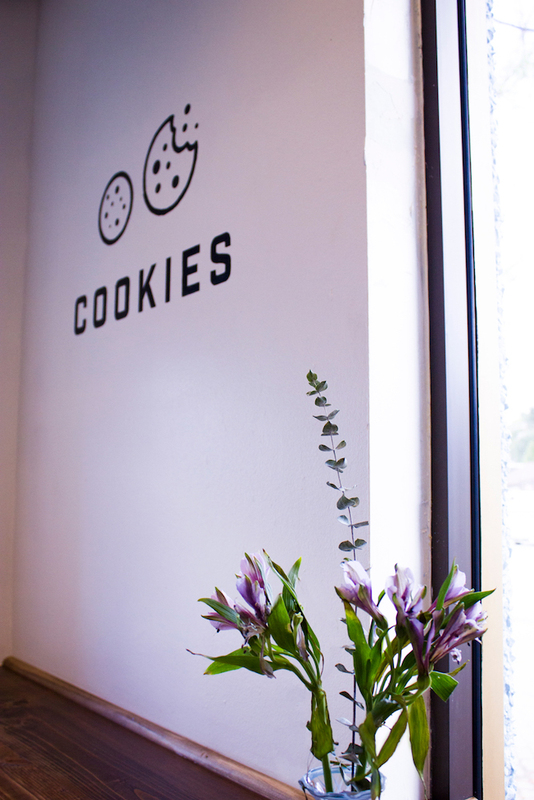 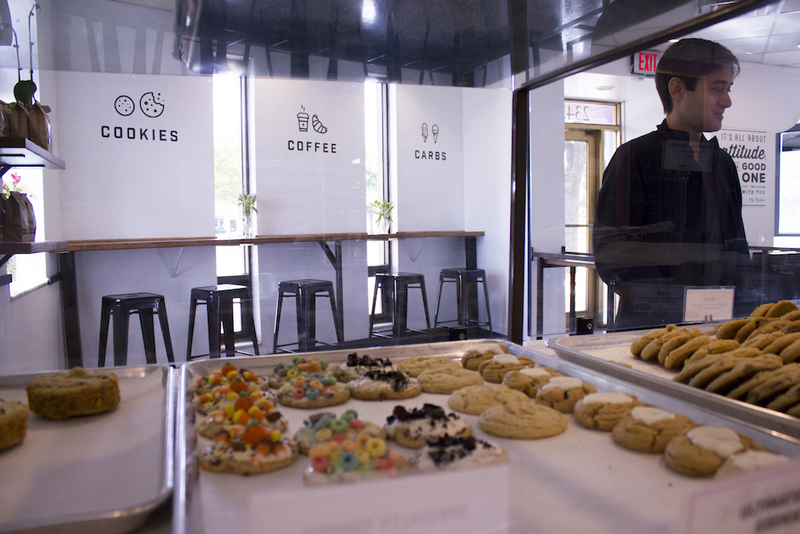 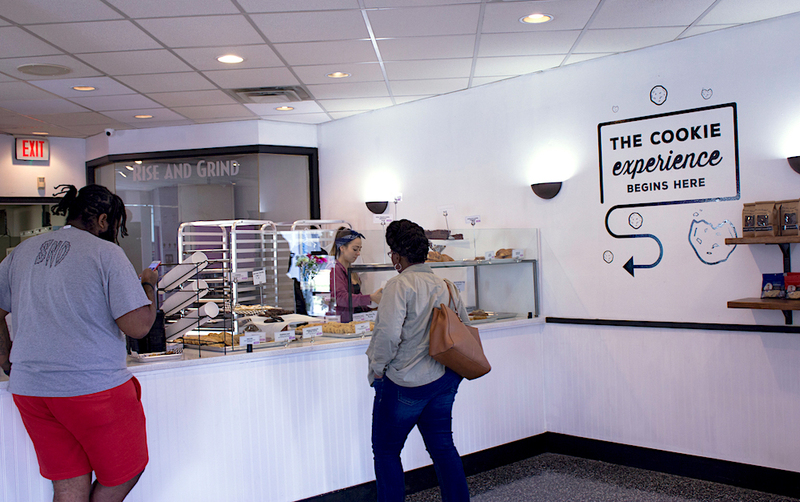 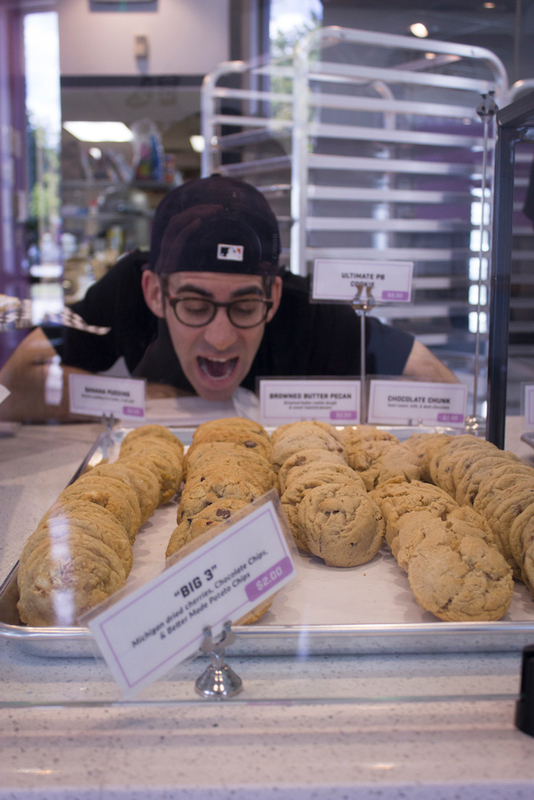 – “The Cookie Experience Begins Here” – to signify the start of the point of sale.